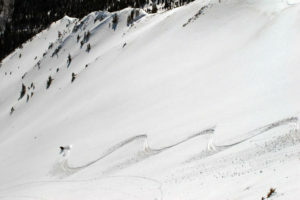 Cresting Mace Saddle, the high point of the loop around Mace Peak. 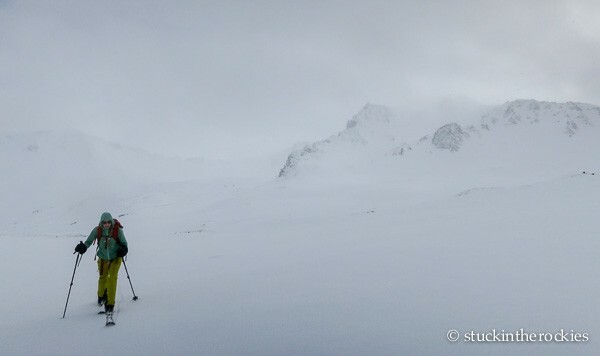 A week of sun and warm temps crusted up the powder in the backcountry, so we thought a different type of ski tour was in order. 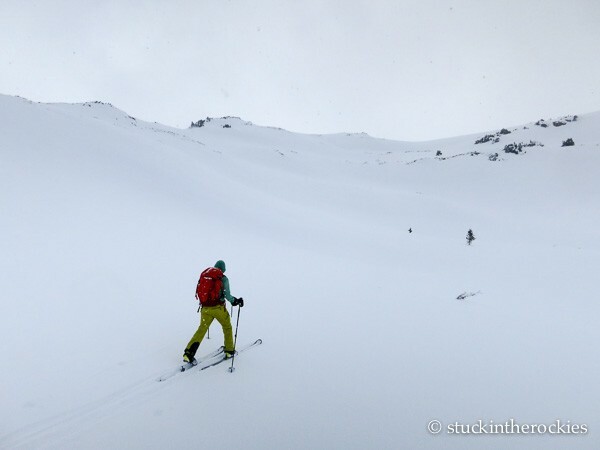 We grabbed the light skis and made a loop around nearby Mace Peak. The map. We made the trip in the clockwise direction. Click to enlarge. 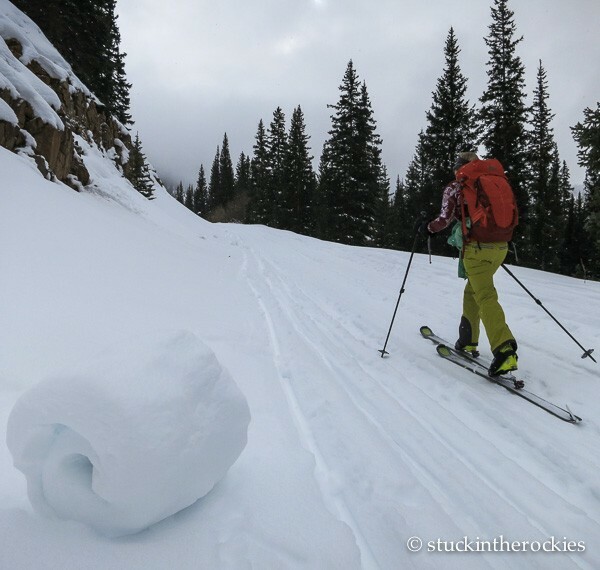 The lollipop loop begins in Ashcroft and much of the trip is straightforward, following snow covered jeep roads and trails that access the local Braun Huts. One section through Cooper Creek, between Lindley Hut and Mace Saddle, requires a bit of route finding and navigating, and is the only section you might describe as a crux. On the way up to Lindley Hut we saw the signs of the sun and warm temperatures from earlier in the week. 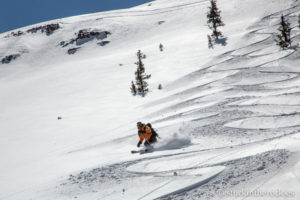 We even encountered some old wet slides on the sunny south aspects of Mace Peak. 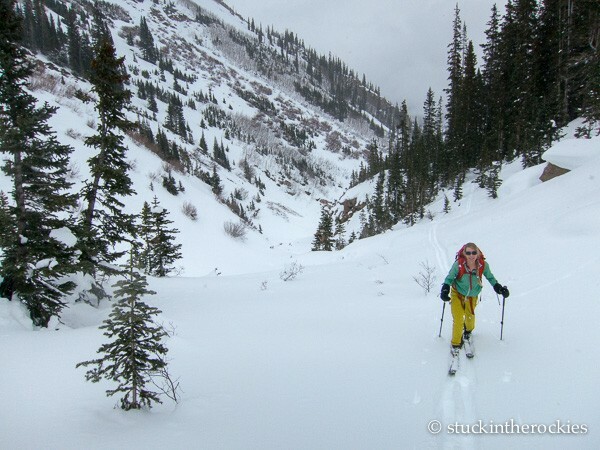 After you leave Lindley Hut you skin through some willows in the base of Cooper Creek. Eventually you’ll climb up on the south side of Cooper Creek and get out of the streambed. When you get higher you’ll rejoin the creek and from there it’s easier travel to Mace Saddle. You can see the skin track emerge from the woods. 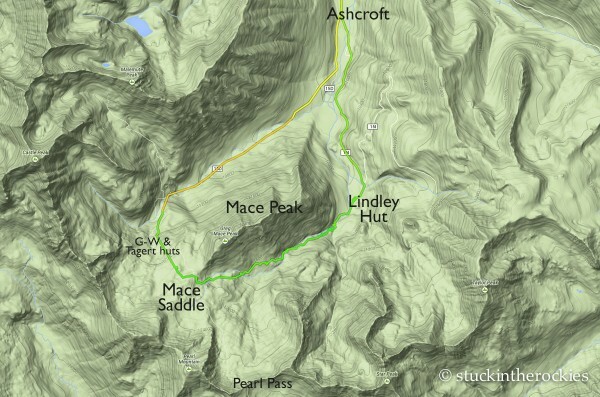 We opted to make the trip in the clockwise direction, which meant we first ascended to Lindley Hut, and then made the trip up Cooper Creek to Mace Saddle. 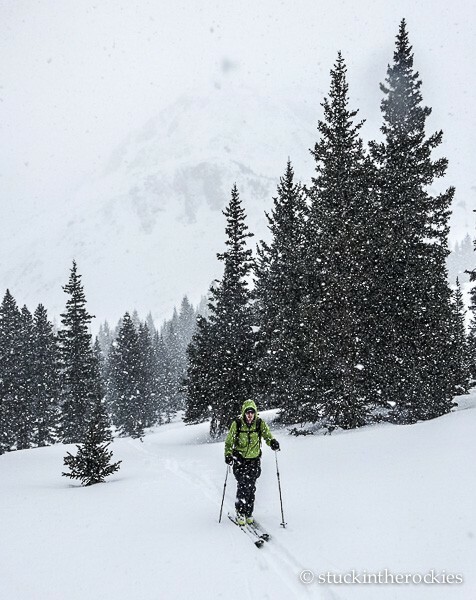 From that high point of the loop in Pearl Basin, we pulled our skins and skied down past Green-Wilson and Tagert huts, and then followed the Montezuma Basin Road all the way back to Ashcroft. Higher up, head out of the creek again. Further up in the drainage the creek becomes less pronounced and the travel becomes easier. You’ll break through treeline below the saddle. 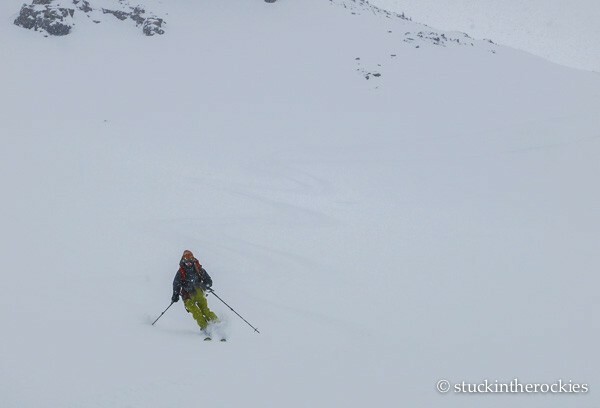 With any luck you’ll find some good snow on the way down. 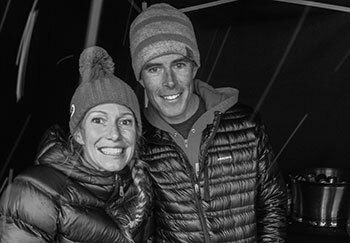 Since we were up in the this neighborhood for Christmas we knew where the ski lines were filled in best, but we still hit quite a few rocks. The trip stats aren’t too intimidating: 11.5 miles, 3100 vertical feet ascended/descended. 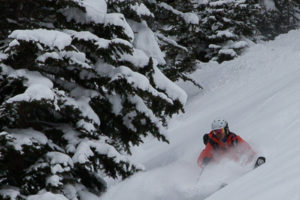 It’s a cool half-day tour through a beautiful part of the Elk Mountains. If you’re lucky (like we were) you might even see some bighorns up on the flanks of Mace Peak.